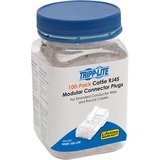 This bulk pack of Cat 5e RJ45 Stranded Modular Plug Connectors contains 50 Category 5e RJ45 ends for stranded wire field termination. 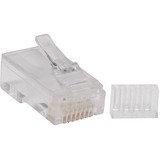 The CRJ4550PK Cat5e plugs are backed by StarTech.com's lifetime warranty. 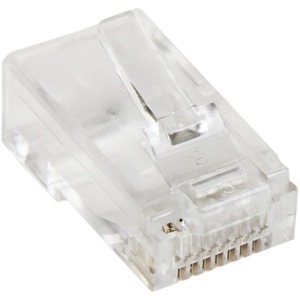 For best results, we recommend that the connector be installed using StarTech.com's CTK400LAN or RJ4511TOOL.